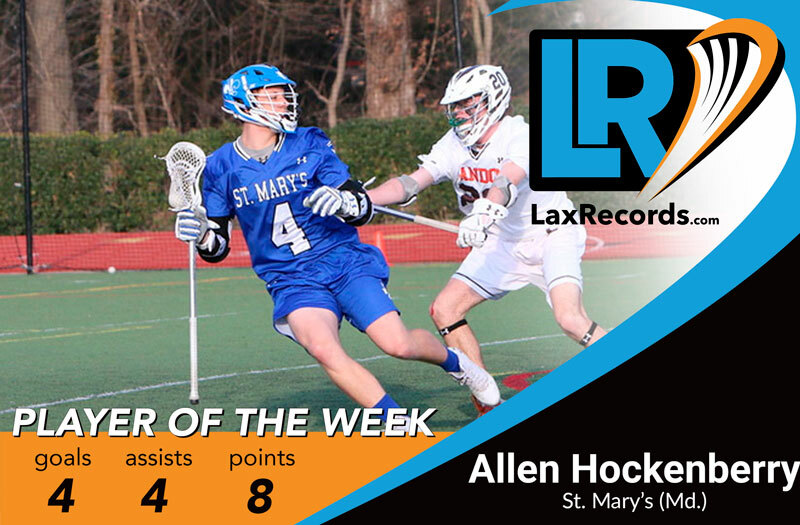 Allen Hockenberry from St. Mary's (Md.) scored eight points in two wins last week. 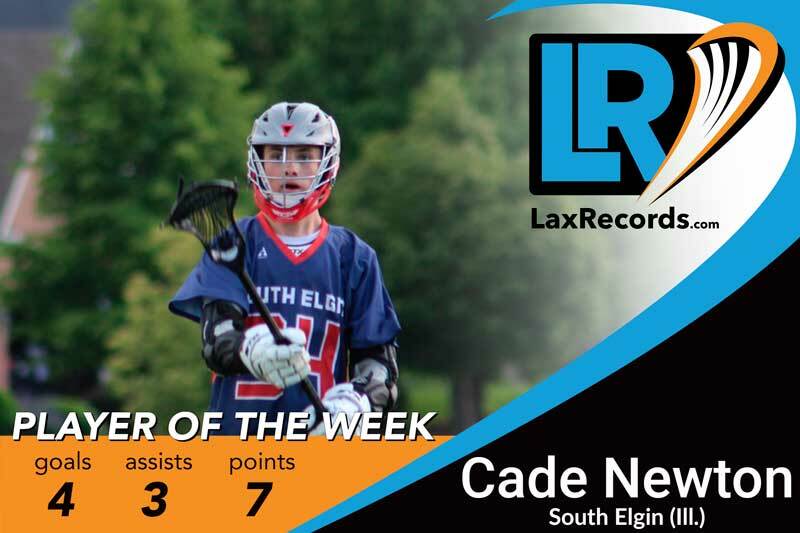 For the week, the junior scored eight points on four goals and four assists, helping his team a 2-0 record. Hockenberry started the week with four points in the Saints 10-4 win over Landon (Md.). Hockenberry scored three goals and one assist to give St. Mary’s their first win of the season. The Saints followed that up with a 13-7 win over St. Anne’s-Belfield (Va.) on Saturday. Hockenberry flipped his stat column, dishing out three assists and one goal in the win. Brun scored four goals, including the game-winner in overtime as Gonzaga defeated Georgetown Prep (Md.) 10-9. Bligh totaled five points, accounting for almost half of St. Ignatius Prep’s goals in a 12-7 win over Loyola-Los Angeles (Calif.). Bligh scored three goals and two assists in the victory. The senior added a goal and an assist as the Wildcats defeated Torrey Pines (Calif.) 8-6 to cap the week. 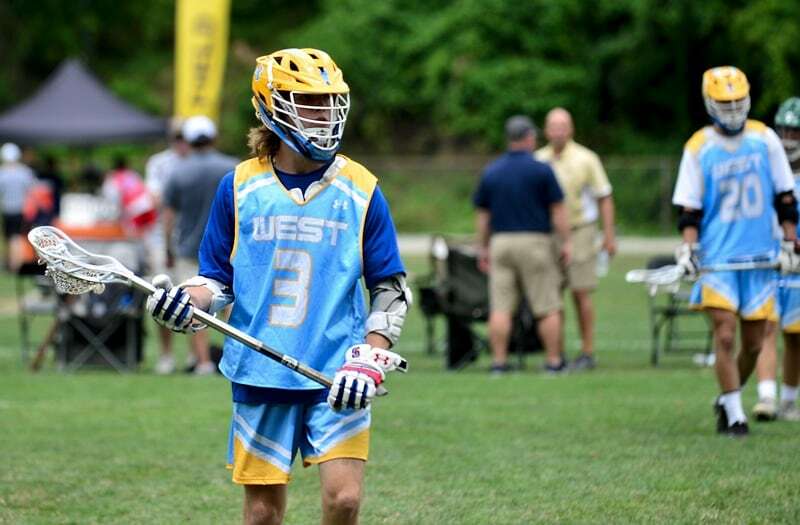 Chami scored three goals to help Benjamin to a 12-10 win over Jupiter (Fla.) last week. The senior scored the first two goals of the game to help the Buccaneers off to a hot start. Dotsikas scored a total of nine goals in wins over Lake Highland Prep (Fla.) and Episcopal School of Dallas (Texas). 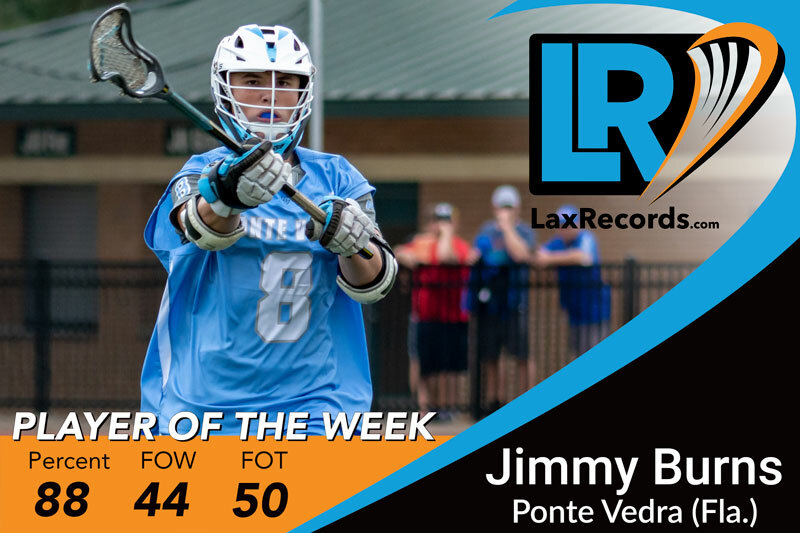 The senior scored seven goals in a 16-6 win over Lake Highland Prep and added two goals in the 10-6 win over Episcopal Dallas. 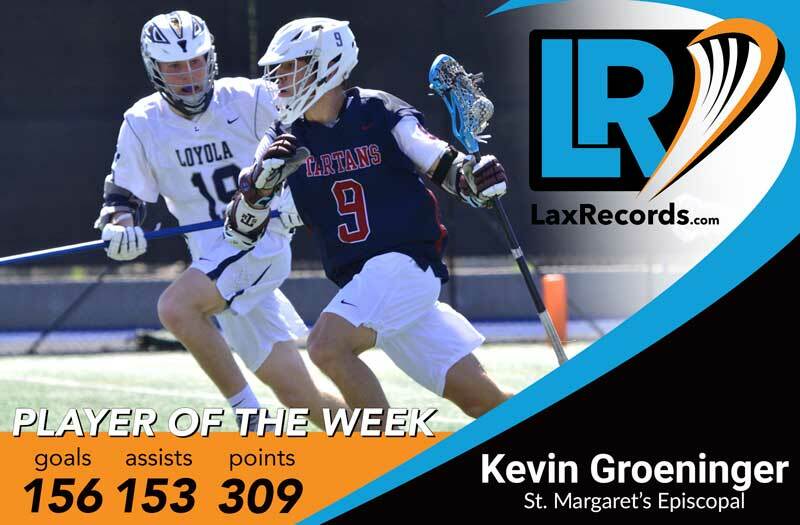 King scored seven points to help the Greyhounds to a 9-8 win over Georgetown Prep (Md.) last week. King dished out four assists and scored three goals in the season-opening victory. Monette made 13 saves in a 13-11 win over Christian Brothers (Tenn.) last week. The sophomore missed some of the third quarter after taking a helmet to the chin, and when he returned the team was hanging on to an 11-10 lead. Monette made several saves in the fourth quarter to give the Eagles the win. Pollard helped the Tartans to an 11-5 win over Harvard-Westlake (Calif.) in a meeting of Top 5 teams. The senior went 18-for-21 on face-offs to help Koa Todd score four goals and an assist in the victory. 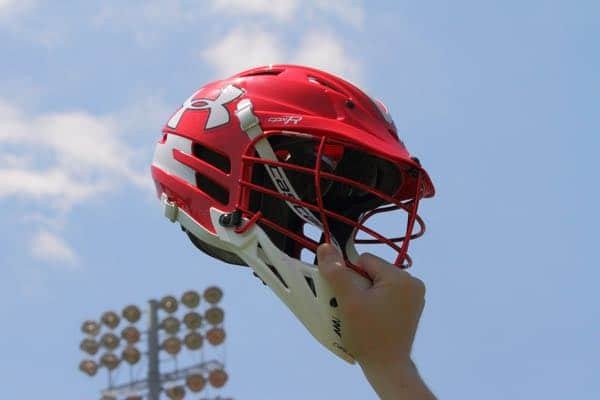 St. Margaret’s and Harvard-Westlake are among MaxLaxOC.com’s Top 5 teams in their respective areas. Pollard followed that up by winning 15-of-20 against Loyola-Lost Angeles (Calif.) in a 12-4 win on Saturday. The sophomore scored half of the Tartans points in a 12-4 win over Loyola-Los Angeles (Calif.). Sanchez scored six goals in the victory. 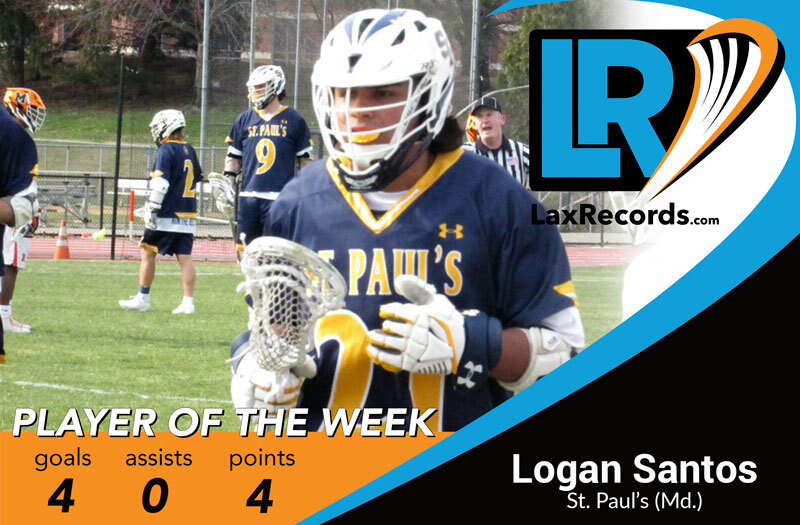 Spencer scored three goals, including two in the final minutes to lead the Lakers to a 12-10 win over Gonzaga (D.C.) last week. 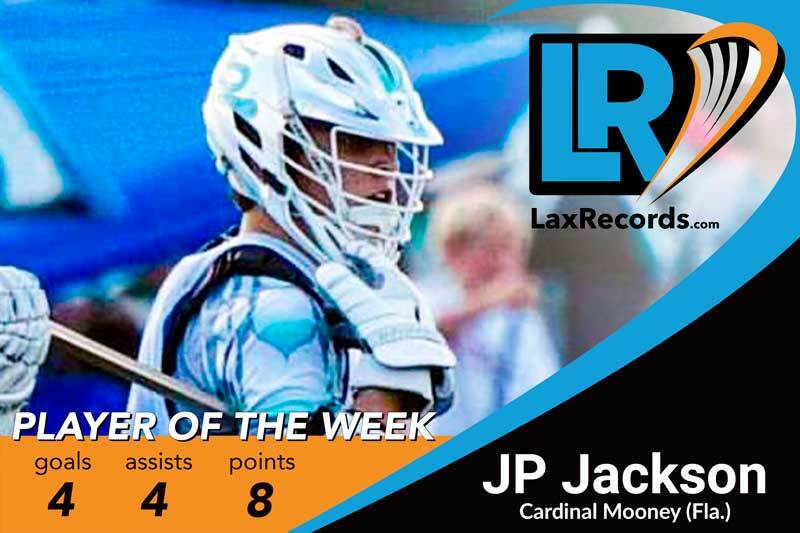 The junior scored six points to lead the team to a 13-9 win over defending NCHSAA champion Lake Norman (N.C.). Todaro scored four assist and two goals. Teammate Will Shipley, a sophomore, scored four goals and one assist in the win. Wetzel opened his season with a five-point performance in a 10-7 win over Eureka (Mo.) last week. Wetzel scored four goals and an assist in the season-opener. Zawada scored seven points in wins over MIAA A Conference opponents last week. 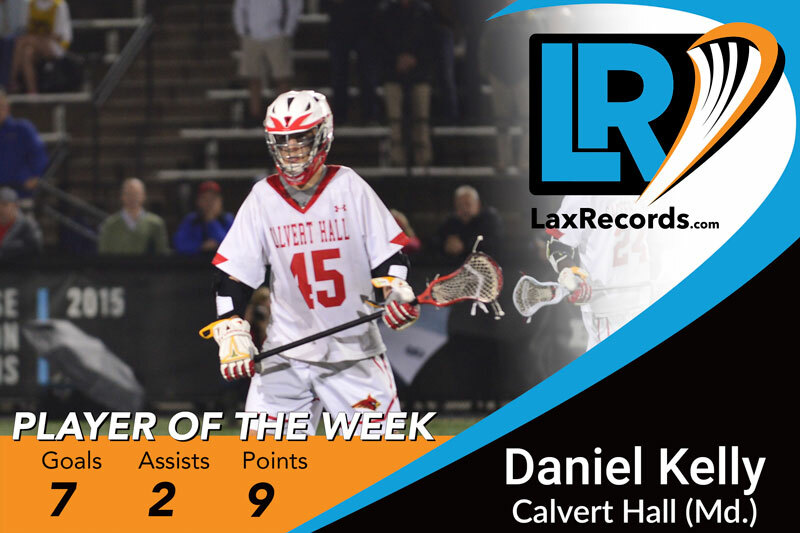 The Michigan commit dished out three assists and scored a goal in a 10-9 overtime win over Calvert Hall. 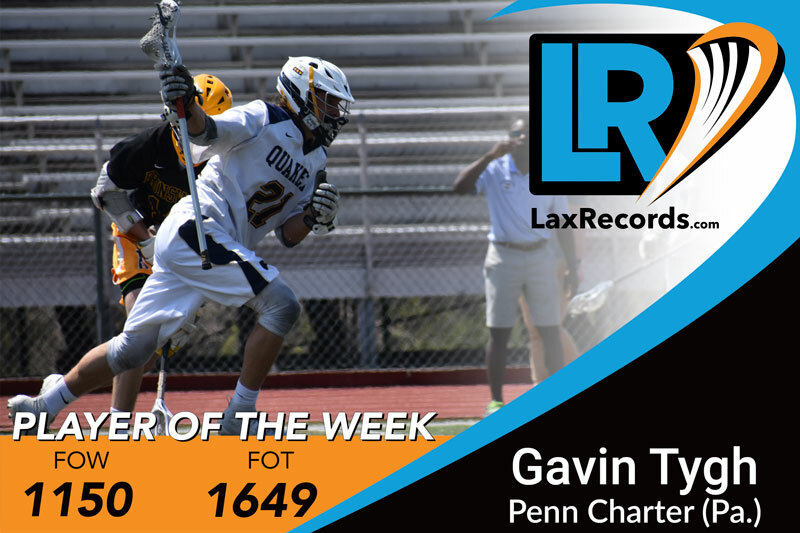 He followed that up the next day with a three-goal game in a 12-9 win over Gilman (Md. ).